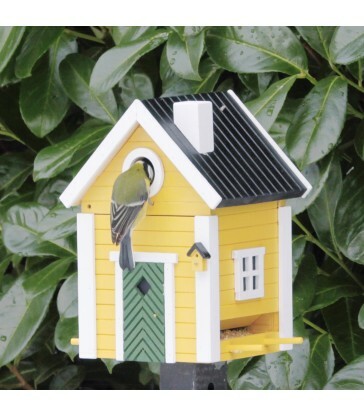 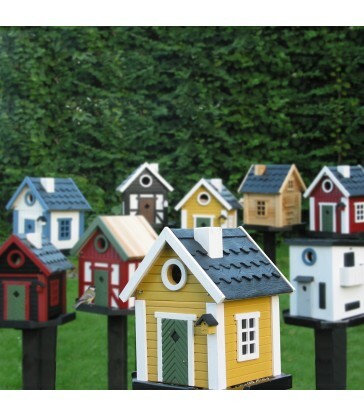 Brighten up your garden with this colourful yellow birdhouse. 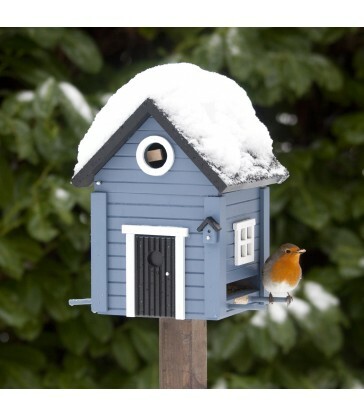 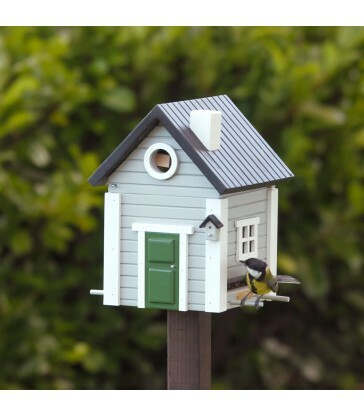 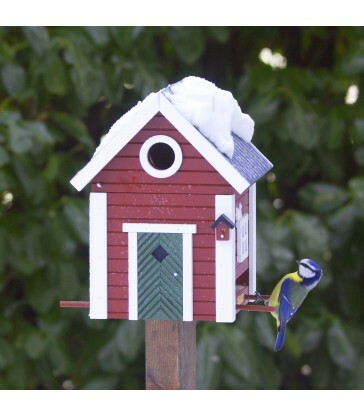 In a cute cottage style, it is both a bird feeder and nesting box when Spring arrives. 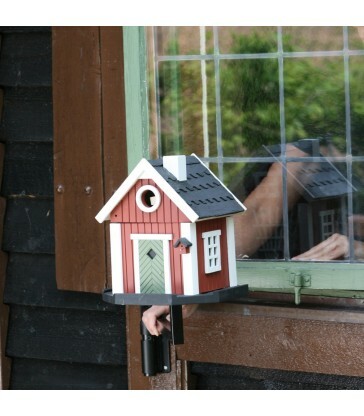 You can attach it to a fence post or to the wall. 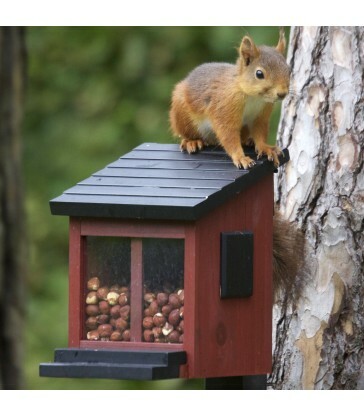 It is designed for small birds to use, as large birds like magpies can't grip the table with their claws. 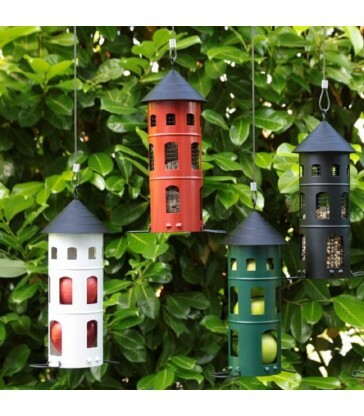 Cleverly feeds different foods from seeds, apples to suet balls!